From the outside, Jack and Grace Angel are the perfect couple: he’s a powerful lawyer who vehemently defends his clients to ensure their abusers receive the justice they deserve (and has never lost a case), and she’s his gorgeous trophy wife, the perfect hostess and doting partner. But is their flawless marriage just a performance for the world? Are Jack and Grace really all they appear to be, or does something far more sinister lie beneath the happy couple’s blissful façade? 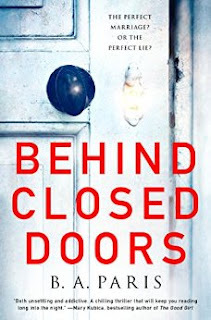 When Behind Closed Doors by B. A. Paris opens, we meet Jack and Grace at a dinner party they’re throwing for friends. Immediately there is an air of tension between the two, even though they’re playing at being a blissful couple from the get-go. Grace tenses up when she knocks a champagne bottle against the counter, and the reader immediately starts to wonder what’s going on behind the scenes. What is happening between Jack and Grace that we are not yet privy to. The character development in this novel is absolutely amazing. Jack and Grace have layers upon layers that kept me completely gripped by this story. 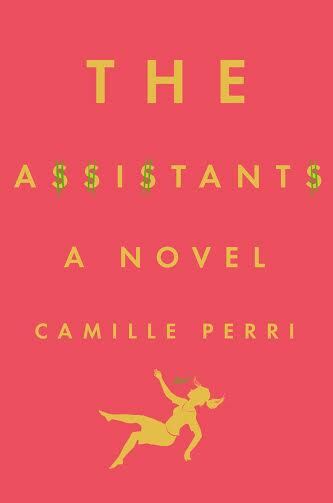 It was touted as the next Gone Girl, but I would hesitate to call it that. I found that Gone Girl was more suspenseful and left the reader with storyline questions as you started to get deeper (which were obviously answered by the end), whereas this novel unfolds gradually but super intensely, prompting questions about who the characters are and how they’re going to react to each situation as it comes up. We meet Grace’s sister Millie a chapter or two in, and see how she’s played a role in the relationship between Grace and Jack. As we start to learn who Jack really is, Millie’s innocence creates a fantastic juxtaposition against Jack’s emerging personality. There are really no unanswered questions in the plotline throughout this story, just a sense of needing to know what happens next. 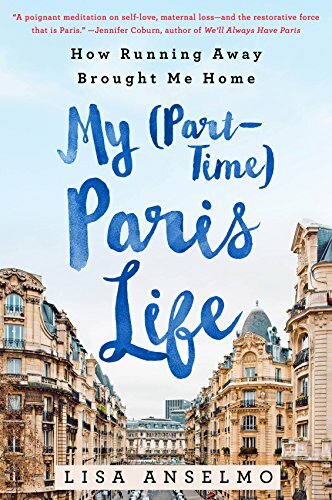 Ms. Paris has created a gripping story, rich with enough detail that you become completely empathetic with Grace’s situation while still finding yourself so deep in the story that you need to know what’s going to happen next. Interestingly, I found that as I got further into this book any time I put it down I’d inevitably have to stretch my shoulders back and consciously take a deep breath. It’s just that riveting! I can’t say enough about the characters in this book. They are painted perfectly enough that you start to look at people around you and wonder what’s going on beneath the surface. Is that happy couple really blissfully happy? Is she agreeing with him because he has a great idea or is there some undercurrent that we’re not aware of? 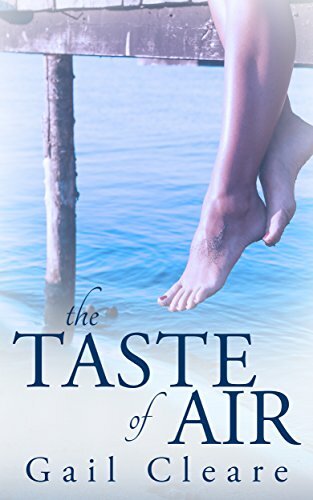 Ms. Paris infuses each of the characters in this book with the same sort of layering, and is extremely adept and describing Grace’s confusion and anxiety as the book goes on. 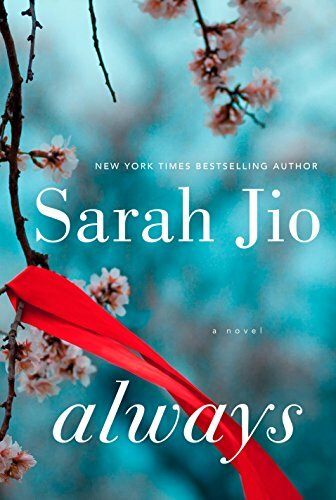 Again, I was finding myself consciously relaxing my shoulders while reading this, which is always a good sign that I’m totally invested in these characters and their story. I do want to warn readers that this is definitely a psychological thriller. The romance in it is minimal, and the suspense greatly eclipses it. I wasn’t sure what to expect before I picked it up (it’s Ms. Paris’ first novel) but I’ll definitely stay tuned for her next offering…just perhaps not to be read alone on a dark stormy night. It’s one for the re-read stack for sure. Thanks to Wunderkind PR for the book in exchange for an honest review. 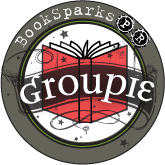 This is part of BookSparks' 2016 Fall Reading Challenge. 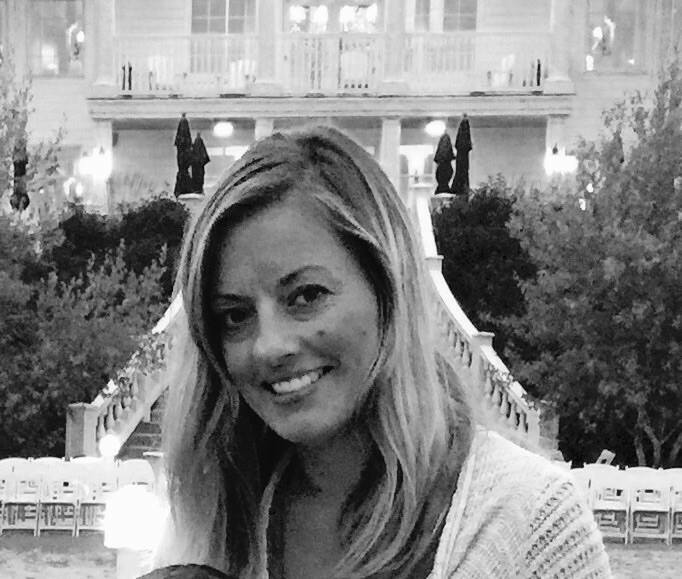 Kathryn hails from Upstate New York, and is a spouse and mother of two wonderful, but exhausting kids. In between being Chief Home Officer and Director of Child Development of the Biel household, she works as a school-based physical therapist. She attended Boston University and received her Doctorate in Physical Therapy from The Sage Colleges. After years of writing countless letters of medical necessity for wheelchairs, finding increasingly creative ways to encourage the government and insurance companies to fund her client's needs, and writing entertaining annual Christmas letters, she decided to take a shot at writing the kind of novel that she likes to read. 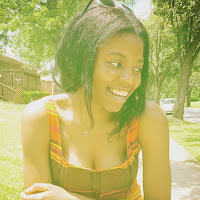 She is the author of Good Intentions, Hold Her Down, I'm Still Here, and Jump, Jive, and Wail. 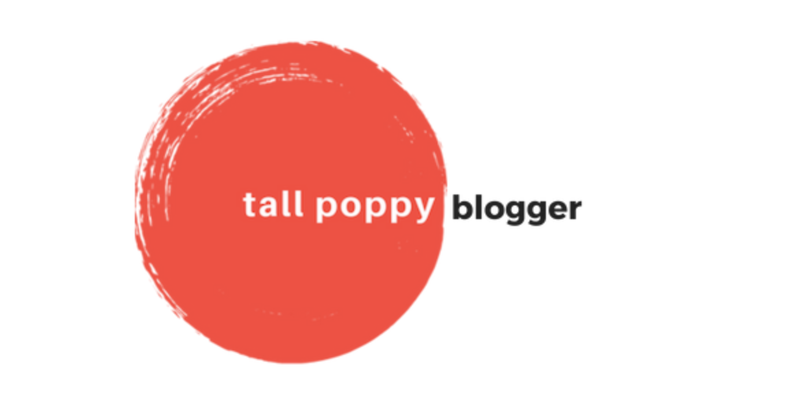 Her musings and rants can also be found on her personal blog, Biel Blather. You can also find her on Facebook and Twitter. Who is your favorite family from a TV series? I don't watch tons of TV anymore, but the exception I make is HGTV. As such, I would have to say that Chip and Joanna Gaines are my favorite TV family. She looks like she would be totally annoyed by him all the time, but she's not! She really appreciates his sense of humor. They seem like genuine, good people. What is your favorite thing about your family? My dad's family is very large (he's one of 11 kids—10 boys and 1 girl! ), so there's all this family. Which at times can be well, you know, large family. But the best part is that we're here for each other. If ever anyone needs anything, the family rallies and someone is there. Last September, my uncle passed away. Just one month later, my dad had a stroke and my aunt, who'd just lost her husband, came over to watch my kids so I could be at the hospital. My cousins, even the ones spread across the country are the same way. When my cousins on my mom's side of the family come to visit, there are some rousing games of dominos. It can go pretty late (usually way past my bedtime), but there's so much laughter. Have you ever traced your ancestry? If so, did you find out anything interesting? Yes and no. One of my uncles has traced it back a bit. Our Irish ancestors left Ireland and went to Australia for a gold rush. They must have done okay because they had enough money to travel back to Ireland before coming to the US. My mom's side is pretty unknown. Before I started writing, I did go on Ancestry.com for a bit. However, the most I found was about my step-grandmother, who's not really blood related (although she was in every sense my grandmother, and I feel like I'm dishonoring her by calling her my step-grandmother). By all reports, my ancestry can be traced to the following countries: Ukraine, French-Canada, Ireland, Germany, Lebanon, and Cuba. I'm basically the American melting pot. Have you ever attended a family reunion? If so, share a favorite memory. Not really. We just try to have big family functions and as many people as can attend. We're having a milestone birthday for my oldest cousin this year (there are 21 grandkids, and many of us have kids of our own now). The whole family is renting a house. That should be interesting! Who is someone you are not related to that you consider part of your family? Growing up, my parents had good friends who we called aunt and uncle. I was probably eight or nine before I realized that we weren't blood related. Aunt Gayle and Uncle Phil will always be my aunt and uncle, and their kids, Andy and Brian, will always be my cousins. Thanks to Kathryn for visiting with us and sharing a gift card with our readers. Giveaway ends October 5th at midnight EST. 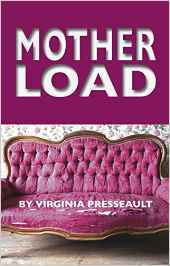 We're pleased to introduce Virginia Presseault today, who is here to talk about family with us as part of our theme month and feature her novel, Mother Load. 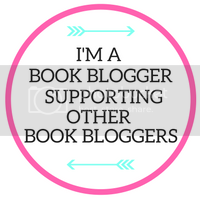 She has a $25 Amazon gift card to share with a lucky reader! Virginia Presseault has long held the belief that laughter gives the heart a much needed respite from the bravery it takes to wake up and face the complexities of an uncertain world. She is an avid reader, writer, and humorist; most of her life has been spent in observation of the eccentricities of the human experience. 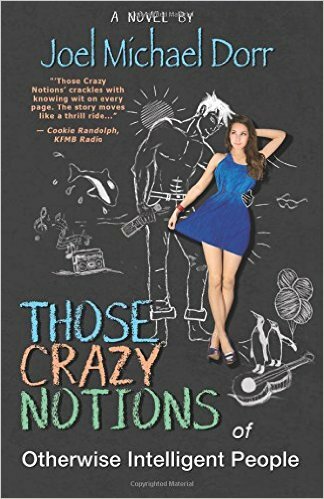 Her imagination has also inspired her to write a children’s book and take on those infamous critics; children. Visit her at her Life and Wellness Coaching website. What is an inside joke or funny saying you share with a member of your family? Several of us were visiting my aunt one day and she was sitting there watching TV. A commercial came on that extolled the virtues of interactive toys for children. She looked at the TV, and then at all the cousins gathered there and said, "Maybe that’s why you all didn’t get the smarts. We gave you our old shoes and refrigerator boxes to play with. You ate dirt and drank from the hose, so it’s good that you all got some good looks though." So now when one of us does something idiotic we say, "My you're gorgeous." Which celebrity would you like to have in your family? It’s a tie. Ricky Gervais or Ellen DeGeneres. Our family thrives on humour. To have another crazy individual with no filters at times would fit right in. Head slapping and eye rolling are a staple in our family. It gets us through the day. Both of these comedians love to have fun and look at the funnier side of life. To which family member are you most similar? "Your dad; he had a great sense of humour, was generous and helpful, he had a love of family, loved to laugh and was social and well-liked." Who is your favorite family from a novel? My first response was to say the Corleone family from the Godfather, not because we go around whacking people, but because of the intensity in which they live their lives and how family is everything. I settled on Janet Evanovich’s family in the Stephanie Plum novels. They are outrageous, out loud funny and just plain loud and devoted to each other. Who is your oldest living family member? She piped up, “Hey Mister, that’s a my business. I don’t ask you your personal business so you don’t gotta know mine," which stunned the doctor into silence. So the policy is don’t ask, don’t tell. So until this very day, none of us really know how old she is. Almost everything I can think of involves food; eating it, thinking about it and sharing it with others. My background is Macedonian and we celebrate almost everything with food. We never dare enter someone’s house without the gift of food. A baby is born, food is brought in for the parents to remind them they won’t ever be able to sit and eat a quiet meal ever again. Weddings have so much food that leftovers could feed a small country. Even in death we have a nosh at the gravesite to enjoy one last meal with the deceased, although they don’t participate that much, but that doesn’t stop us. We have bread there as symbol of the body of Christ, grain that comes from the earth and where we return and wine to forget the reason we are there, at least I think that’s why it’s there. Food has become the symbol of gathering, to come together to share, laugh, grieve and build a community. 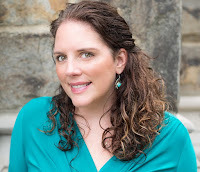 Thanks to Jessica Alex Marketing for organizing the interview and to Virginia for sharing the gift card with our readers. Giveaway ends October 4th at midnight EST. In honor of Family Month, we have a special guest here to talk about family portraits and why it's good to do them every now and then. I know I occasionally love coordinating clothes and taking my kids to JC Penney, where the photographer makes funny noises to bring out their most adorable smiles. Meet Janice, who is going to introduce herself before talking about her topic. Please give her a warm CLC welcome! My name is Janice Nyam. I am a Cameroonian Freelance Portrait/Commercial Photographer in Malibu, California, and also a current student at Pepperdine University. Earlier this year, I discovered a profound fascination and love for photography. Since then, I’ve enjoyed working and collaborating with families, friends and other entrepreneurs like myself to visually transcend their visions into a memorable reality. Visit me at SplendidJanie Photography, and on Instagram. 1. It is a Fun and Memorable Experience in Itself! The entire process of choosing a theme, what to wear, a sentimental location and bringing the whole family together to experience a day filled with smiles and laughter is by far the simplest way to spend quality time while still making memories. In my professional experience, Outdoor Family Portrait sessions tend to bring out the most authentic expressions. Families feel more rejuvenated and free when they can easily connect with their surroundings. As a result, those first few minutes of awkward robotic smiles are guaranteed to fade into candid -like moments. 2. It Is a Priceless Way to Preserve Memories for Generations to Come! Today, we rely on smart phones to safely keep our photos. Half of the time, we end up having to delete them because we need more space for other media’s such as music, videos and ironically, even more photos. 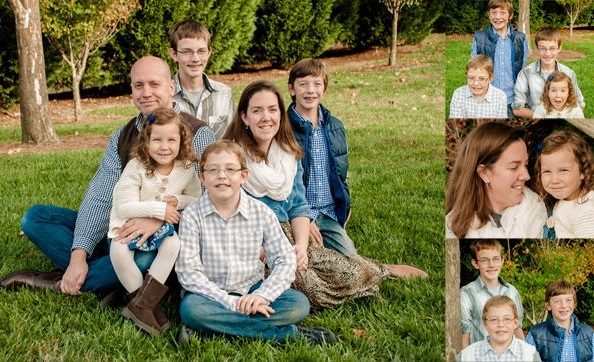 Having professional family portraits done completely takes out the worry and hassle and replaces it with peace of mind and the confidence that comes with having a physical print or photo album. For decades to come, you can always look back and reminisce with family and friends. 3. It Adds a Personal Touch to any Living Space. 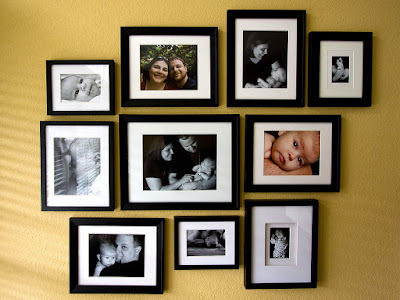 Whether you’re living in an apartment, house or dormitory, displaying family photographs is sure to add a splash of personality and that missing homey feeling we all inherently crave. 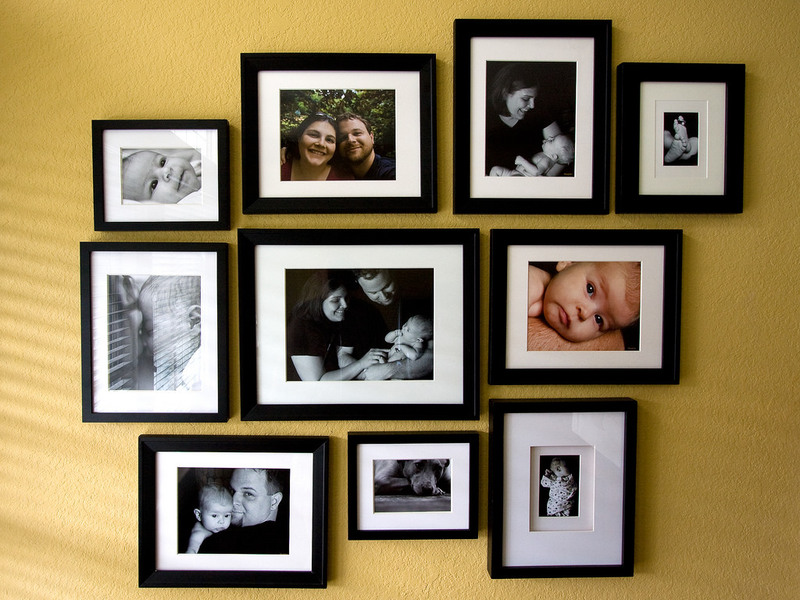 Framed photographs serve as a constant reminder of the people we love and cherish. Sometimes, that’s really all we need. Family portraits displayed in impersonal settings such as offices are great conversation starters for clients. And, the more your clients know about you and your background, the more trustworthy you become in their eyes. 4. Share with Long Distance Family and Friends. Like most people, you most likely have family and friends scattered across the world. So, what better way is there to share memories and keep everyone in the loop of all things family? Family Portraits! With technology at our fingertips, we can easily share photographs with family members and friends all across the globe. At the same time, it doesn’t hurt to spontaneously mail physical photograph prints. There is just an overall sentimental value attached to prints that digital photographs can never match. 5. An Opportunity to Get the Celebrity Treatment. Family portraits are an investment. Although most of our focus is on the outcome of the final delivered images, the experience is almost just as critical. As a photographer, my job is to make sure my clients feel confident and comfortable with me and my camera before I can even think of pressing the shutter. So, I try to reassure them by explaining that the whole process is supposed to be fun, creative and that there is always a place for their unique personality and most importantly, their nerves. In the end, you can easily realize that the professional taking your picture has thought ahead for you. So, you need not worry about running out of poses, anchoring your fly away hairs or having lipstick on your teeth. Your photographer has been trained to purposely make you feel confident and ready to create those timeless photographs of your family you’ve always dreamed of. 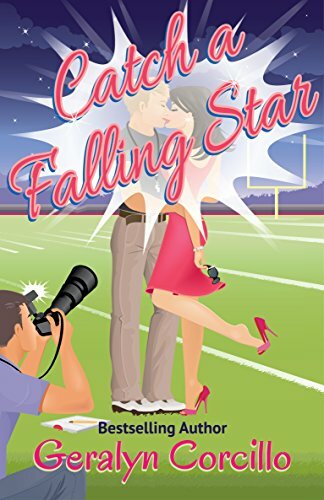 When TV star Wendy Hunter is about to have her most closely guarded secret viciously exposed by the paparazzi, she desperately tosses out a juicy bone to distract them: she announces her engagement to southern high school football coach Colin Scott. One problem. She's not really engaged to him. In fact, she barely knows him. Um ... barely. But will one unforgettable night last year be enough to get him to go along with her charade? Wendy goes to Louisiana to see him and discovers that Colin is not so thrilled to be suddenly "engaged" to her. He's got some secrets of his own that his famous "fiancée" is putting in serious jeopardy. Still, he agrees to her fake engagement ... as long as she agrees to play by his rules: Wendy has to stay in town for three weeks to play the part of Colin's one true love, all without wrecking his life. I’m such a huge fan of the "Love in the Limelight" series. I was very excited when given the opportunity to read about Wendy’s adventures, especially after reading about her through the eyes of the other characters in other books. This time, though, it’s told through Wendy’s own perspective, completely contradicting how so many others have seen her, for so long. It’s nice to hear her side of the story. And then there’s Colin. A man who is so far removed from the life that Wendy chooses to live, that it’s hard to believe these two can have any sort of attraction for one another. After their one night together, he figured that was it. There’s so much about her he can’t stand. And, when Wendy makes it a point to tell the whole world she’s engaged to him, it could threaten to destroy everything he’s worked so hard for. Which is so totally like her. It’s all about the Wendy show, and everyone else is just a secondary character. Or, are they? I loved the constant magnetic pull (and repulsion) Wendy and Colin have. It's nearly combustible! Just when I thought they may have a chance at having a go at a real relationship, it’s two steps forward, three steps back. Which completely had me on the hook. I never wanted to put the book down! What I also appreciated were the scenarios involving other characters from the rest of the Limelight series. No one was forgotten. I got to catch up on Lola and Arlen, from Queen of the Universe, as well as a surprise cameo from Miss Adventure herself, Lisa Flyte. Geralyn handled this effortlessly, inserting the beloved characters into Wendy’s world, as though they’d always belonged there. Which, come to think of it, they really always have. While Catch a Falling Star stands alone quite well on its own, and can be read independently from the rest of the books in the series, I highly suggest engaging in all three! Geralyn has created incredible characters who stick with you, making it near impossible to read just one. Thanks to KEPR Tours for the book in exchange for an honest review. I don’t normally gravitate toward books involving the loss of a child. As a mother, they are hard for me to read. I have stumbled across a few that sneaked it into a story after I was gripped. 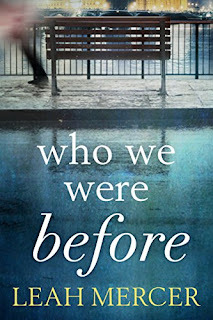 However, I knew about it already going into Who We Were Before by Leah Mercer, as it is the main premise of the book, but the aftermath is what interested me enough to give it a chance. You may have already read a book (or two) by Leah Mercer. She writes romantic comedies as Talli Roland. 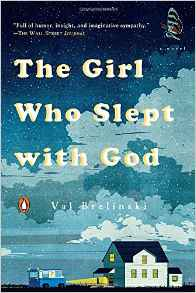 I understand why she needed to change her name for this novel, as it is not a comedy at all. However, there are some romantic aspects that take place during some flashback scenes. While the subject matter is a heavy and emotional trigger, I was able to read the entire novel and get caught up in the story. 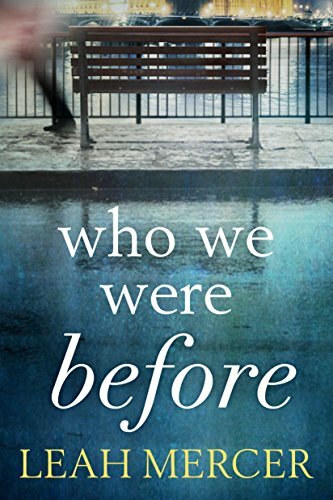 Yes, it was sad to think about, but Leah writes sensitively about what happened and gives her characters realistic levels of grief, while also trying to help them move forward in their lives and relationship. I like how Leah alternated between Zoe and Edward’s narratives, as well as between past and present. She wove a story that flowed really well regardless of character or time changes. Both characters were sympathetic and I wondered what would happen for each of them and if they’d come out okay on the other end. There were some painful parts regarding the loss of their child, but they also satisfied my curiosity about what happened and I treated them as a cautionary tale. 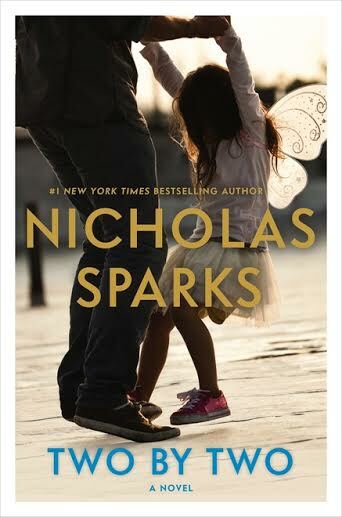 Two by Two by Nicholas Sparks. Grand Central Publishing has TWO copies to give away! Giveaway ends September 28th at midnight EST. Most people likely know Kimberly Williams-Paisley from her role as Annie in Father of the Bride and Father of the Bride II. In those films, Williams-Paisley portrayed a young woman from a loving, stable (if not often a bit wacky) family as she married, and then, in the sequel, as she had a baby. Viewers laughed and cried for the two hours or so each movie lasted, perhaps recognizing some of their own family members in the characters, or perhaps wishing their families were more like the Banks. The movies followed the traditional three-act arc to a happy ending, and when the lights rose and the credits rolled and viewers rose from their seats, they did so believing Williams-Paisley’s character and her fictional family all lived happily ever after. It would be easy to assume such a storybook existence for the vibrant young actress who brought Annie Banks to life; easy to assume that Williams-Paisley’s own family was as loving, as stable, as hilariously quirky as the one on the giant screen. Such an assumption was largely true, for many years. Williams-Paisley grew up with a supportive but somewhat passive father; an encouraging but sometimes demanding mother; and two younger siblings, Jay and Ashley, in New York. Her family wasn’t wealthy, and Williams-Paisley began acting at a young age in part to help pay for private-school tuition. She won a role on her first audition – a commercial – and by the age of 14 was signed with the William Morris Agency. Her star continued to rise when she attended Northwestern University’s prestigious drama program (where she learned of the Father of the Bride audition). Williams-Paisley’s family supported her as she pursued her career; her mother, Linda Williams, even has a brief cameo in the original film as a wedding guest. Of course, Linda Williams was also a guest at her daughter’s wedding to musician Brad Paisley in late December 2003. Ironically, it was at that wedding where Williams-Paisley first noticed some unusual behavior from her mother: a spate of uncharacteristic moodiness, a struggle to read a Bible passage during the ceremony. Less than a year later, a doctor recommended some neurological testing for Mrs. Williams, and in October of 2005, Linda Williams was diagnosed with primary progressive aphasia (PPA), a rare neurological disorder that affects a person’s ability to speak, write, and understand language. Linda Williams was sixty-two years old. 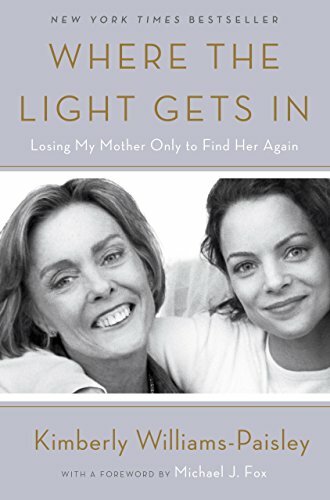 Where the Light Gets In tells the story of Linda Williams’ journey with PPA, and the effects Mrs. Williams’ illness has had on her and on her family. The story is told from Williams-Paisley’s perspective, with great candor and depth. Williams-Paisley’s memoir strikes the perfect balance, offering a compelling mix of explanation and exposition. But, most of all, Williams-Paisley offers an honest, heartfelt tale of what illness can do to a family – even a famous family. "My mother is not only presenting me an opportunity to love unconditionally, she’s also allowing me to practice being comfortable with what is uncomfortable. To grieve and also embrace what is broken. To know that some days I can receive who my mother is now and some days I struggle with it. To allow that two opposing thoughts may exist in my head at the same time. . . . In accepting our limited wisdom, we allow for infinite possibility." Where the Lights Gets In is not only a warm, honest tribute to Williams-Paisley’s mother, it is also an inspiration to others dealing with PPA and dementia and similar neurological diseases. It is as moving as any movie Williams-Paisley could film, and it left me knowing that Williams-Paisley will, indeed, live happily ever after, even though that life may not look anything like what she’d ever imagined. Thanks to Crown Publishing for the book in exchange for an honest review. 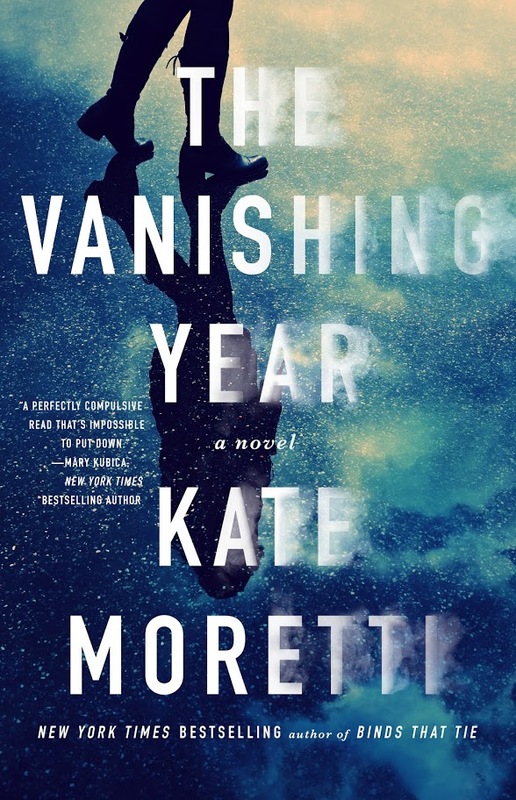 Kate Moretti is the New York Times bestselling author of Thought I Knew You, Binds That Tie, and While You Were Gone. She lives in eastern Pennsylvania with her husband and two kids. Find out more at her website, or follow her on Twitter, Instagram, or Facebook. "Engaging, intriguing, heart-pounding… the twists had me gasping, the details had me transfixed. I cared about Zoe right away, which along with everything else, made it impossible for me to stop reading this book." 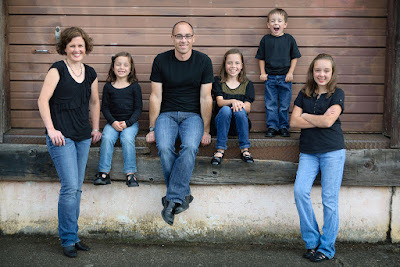 What is something essential to have in order to be a family? Love, connection, the desire to protect each other. That's pretty much it. I try to hammer home to the kids that families can look so different, that there's no such thing as a wrong family, as long as they love each other. We've gone through so many iterations: a mom and dad, two moms, two dads, just a mom, just a dad, a grandma that lives with you, etc. What is your favorite family-themed movie? This is ridiculous I know, but probably Christmas Vacation. It captures the craziness of the holidays with family so well. Plus, it has Uncle Eddie. What is your favorite memory from a family vacation? We used to camp when I was a kid with my cousins. I was eighteen before I knew that people rented hotel rooms. Those trips are a montage in my mind: Uno on the picnic table, the year it rained five of the seven days and we spent most of the time in the movie theater or the laundromat, using the dryer, the year we went to Fenway in 100 degree heat. My best childhood memories are those camping trips. As a mother, we take our kids to the same beach every year with grandparents, aunts and uncles, cousins, great aunts. It's just a wonderful week. Share a recent or favorite family portrait. We're not really a "portrait" kind of family. I don't know why, I just don't do it that often. 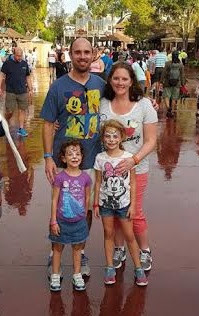 But here is a group shot of us on vacation at Disney World, and then my favorite picture with my kids. This was two years ago, but I love it anyway. Not to go back to Christmas again, but we do Christmas eve at my mom's house every year. We open presents from my side of the family then. We eat the same food my grandmother used to make -- stuff from the 50's like Gherkins and salami. Nothing is allowed to change. If we ever have to get snowflake rolls from another bakery, I'm not sure what will happen. Have you ever found long lost relatives? If so, what was the experience like? No, I haven't. But we did find relatives that lived in Hungary. Our families kept in touch and I actually visited them when I traveled after college. They made us dinner and we stayed in their rental apartment. The whole experience was fantastic. Thanks to Kate for chatting with us and to Atria for sharing her book with our readers. 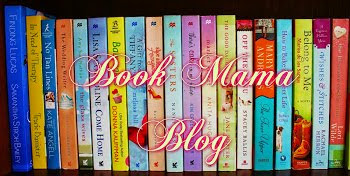 You can also win a copy from Confessions of a Bookaholic through September 27th. How to win: Use Rafflecopter to enter the giveaway. 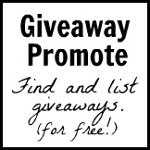 If you have trouble using Rafflecopter on our blog, enter the giveaway here. US/Canada only (part of a blog tour). Giveaway ends October 20th. 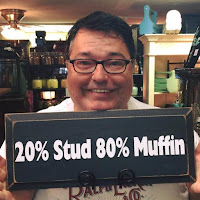 We're glad to have Keith Stewart back this month for his first actual Go-to-Gay column. (He started out by doing an interview with us in July.) And readers, you are in for a treat! This month, he's talking about family and what it means to him. I was born and raised in the southern Appalachian Mountains. There, family is important. Family is who you go to in times of trouble, when you want to celebrate good news, when you don’t have anywhere else to go or anything else to do, and in my personal case, when you are looking for a home cooked meal. I have a gaggle of first cousins who are so close to me I honestly feel like they are my siblings. Family certainly doesn’t have to mean blood-kin. Chosen family is often the best kind. They are the ones you picked to be your “people.” If we are being honest, these family members are the ones you’d prefer to go on vacations with instead of some of those blood relatives you are usually stuck in a small condo at Gulf Shores with for a week each summer. 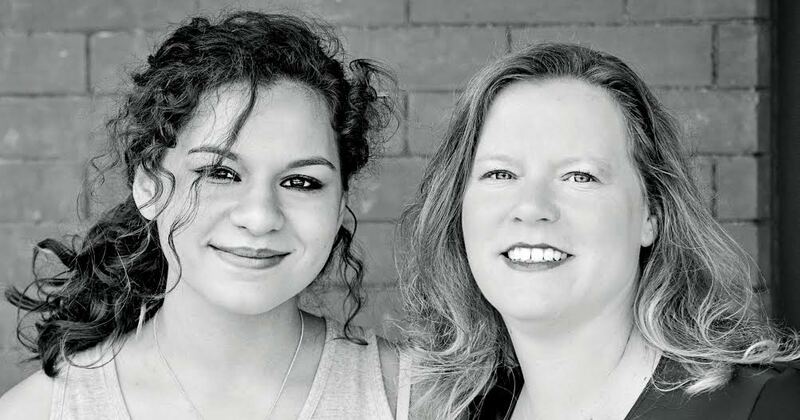 For gay and lesbians, chosen family is crucial. So many of us are ostracized or completely disowned by our blood-related families when we come out of the closet. We are suddenly in the world with no family at all—a terrifying and soul-crushing experience for someone used to those close familial ties. Thankfully, I never had to go through that myself, but I know many who have, and I always make a point to include them in any family event I may be hosting or attending. Aside from the fact that it is an awesome song with a beat that will NOT allow you sit still and NOT dance to it, this is probably why Sister Sledge’s “We Are Family” has always been a gay anthem. I think family boils to down to two characteristics: undying loyalty, and, of course, love. Face it, members of the “Dairy Queen Oreo Blizzard Family” are not going to be very loyal to you when something inconvenient comes along, say a fist fight at a funeral. When someone throws a punch at you at the burial service of a loved one, it takes undying loyalty from someone to jump into the fray in their best suit and tie and fight off the people who are attacking you. What? This has never happened to you? Just my family? Well, maybe not the most relatable example then, but my family IS a little odd. The point is being loyal means doing things you don’t necessarily want to do, but if a family member needs it done, you at least try. 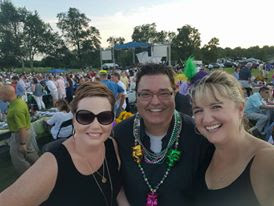 When a member of my chosen family was diagnosed with breast cancer a couple of years ago, the first thing another family member and I did was make plans to get to Houston, Texas, where she lived, as fast as possible. Neither or us knew anything about caretaking someone undergoing chemotherapy, and I pass out at the sight of blood, but someone we loved was in need, and all other issues fell away until we got there. Of course, I ended up clogging her kitchen sink so bad it flooded her kitchen had to call in a professional plumber, then spilled a large glass of red wine on her brand-new white arm chair (which she thankfully had already had Scotch- guarded), but I was there, helping in my own way. No members of the “Celine Dion Fan Family” made an appearance. Since my book was published earlier this spring, I am so thankful to have family to share my experiences with along the way. You know when you get a really good compliment or review, you can’t just tell everyone about it without looking like a braggart. With family, I can just say, “Oh my God! Look at what so-and-so posted about my book!” without fear of eye rolls and knives in the back. The same when I get bad reviews or rejected for some event. I know I am safe complaining to them, and I know they will sympathize and join in the mutual griping to make me feel better. Back to the hyperbole click bait, I should have titled this CLICK HERE TO SEE WHY I AM THE MOST BLESSED MAN ALIVE! I really do feel this way. 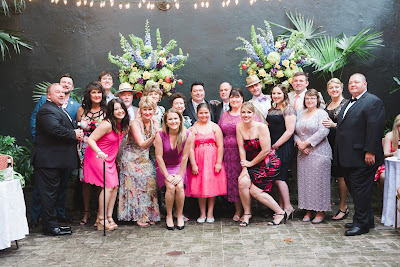 I have a large, extended family of blood relatives that I am close to and genuinely adore. They accept me for who I am and let me be who I want to be. 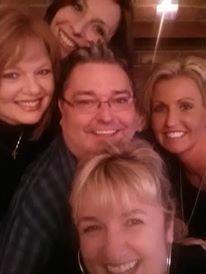 I have a group of chosen family members who I love and care for as if they were my siblings. I never feel alone in this world because of them. 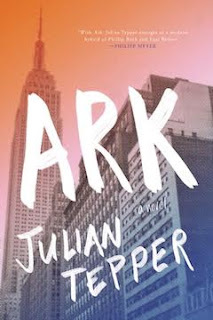 When I was visiting family in NYC a few weeks ago, they introduced me to an author they know and he told me about his latest book, Ark. The author, Julian Tepper, was very nice and I enjoyed chatting with him. I later looked up the book and found out that it was narrated from a female perspective. I love when male authors write from a woman's point-of-view (ex. Wally Lamb) and thought it would be great to feature at CLC. Ben Arkin, patriarch of the family, is an artist who has never sold a piece. His children, Sondra, Doris, and Oliver run a record label that has never produced a hit, and that Ben and his wife have bankrolled. 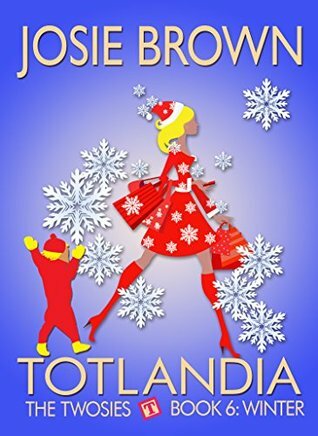 When Doris strikes out to form her own label, Sondra sues the entire Arkin family, setting about a series of events that ultimately lead to their demise. The story is told primarily from the perspective of Oliver’s daughter, Rebecca, an attorney who might be the only redeeming member of the Arkin family. Rebecca attempts to keep the family from collapsing, while trying desperately to extricate herself from their grasp. Julian Tepper is an American author, born in Manhattan, in 1979. In 2011, he co-founded the Oracle Club, an arts club, in New York City. 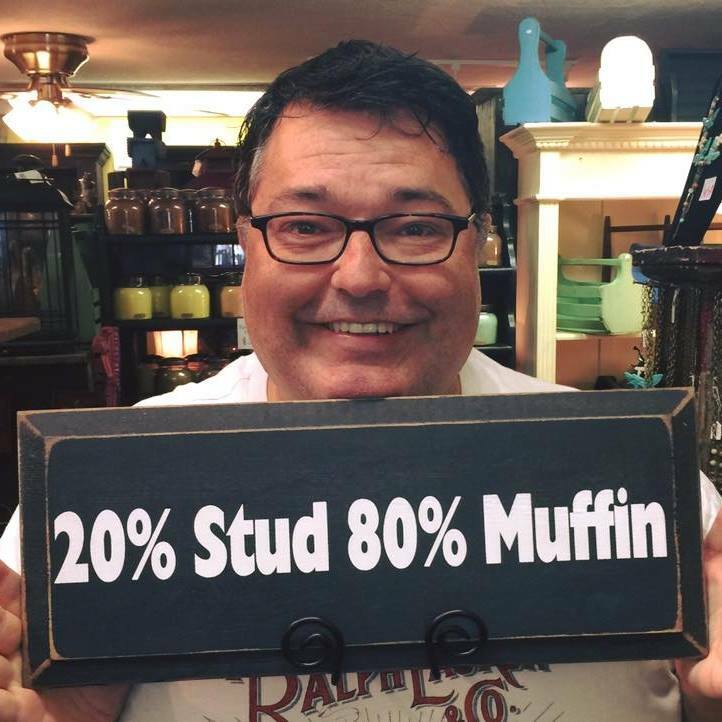 His first novel, Balls, was published in 2012. Ark is his second novel. 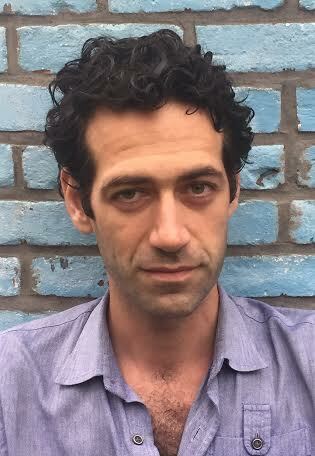 His writing has appeared in the Paris Review, Manhattan Magazine, Kindling Quarterly, and the Huffington Post. Visit Julian at his website. Another Anne-Marie, Anne-Marie Casey, found Slaughter’s tale so compelling, it inspired her to write a book about a similar woman, fictional New York City divorce attorney Liddy James. James is a very specific character – well-known (and well-paid) in her field, she’s written a book and often appears on TV to talk about celebrity divorces and parenting after a break-up. 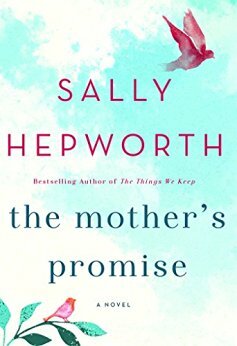 She has two sons – teenage Matty, fathered by her ex-husband Peter, and six-year-old Cal, the result of a one-night-stand that broke up her marriage. Peter is now in a common-law marriage with Rose, who is more of a parent to Matty than Liddy is. With apartment fees, private school tuition, the nanny, the dog-walker, and a hefty settlement to Peter (a professor who couldn’t afford to live in New York without his ex-wife’s alimony), Liddy can’t get off her gerbil wheel of work without having to sacrifice everything. And no one in her life is grateful for everything she does – rather, she’d judged for never slowing down. 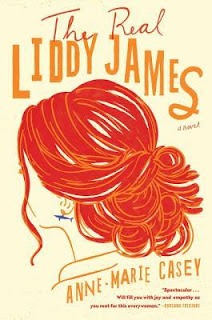 Reading about Liddy’s life is exhausting, and Casey makes an interesting choice by including Rose as a point-of-view character. A professor as well, Rose has put her position in jeopardy by taking care of Matty rather than following the “publish or perish” edict. She loves Matty as if he were her own, and routinely puts his and Peter’s needs first. When Rose has an unexpected, later-in-life pregnancy, Liddy points out that as Peter’s unmarried partner, Rose has no rights to his house or his son. In fact, Rose’s own health insurance is paid by Liddy’s company! Then Rose develops complications and is put on bedrest. 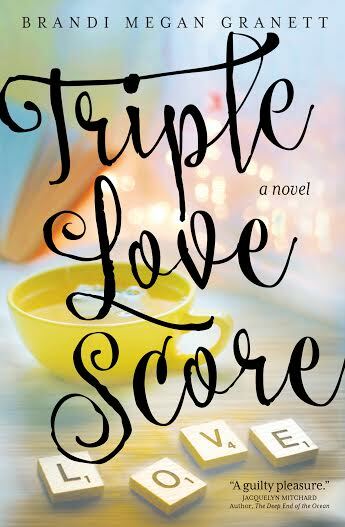 This requires Matty to move back in with Liddy, and he immediately starts to make her life a living hell the way teenage boys seem to be best at. 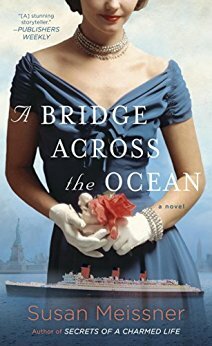 While the book is pitched as another I Don’t Know How She Does It, its most touching and unique aspect is the relationship between Liddy and Rose. 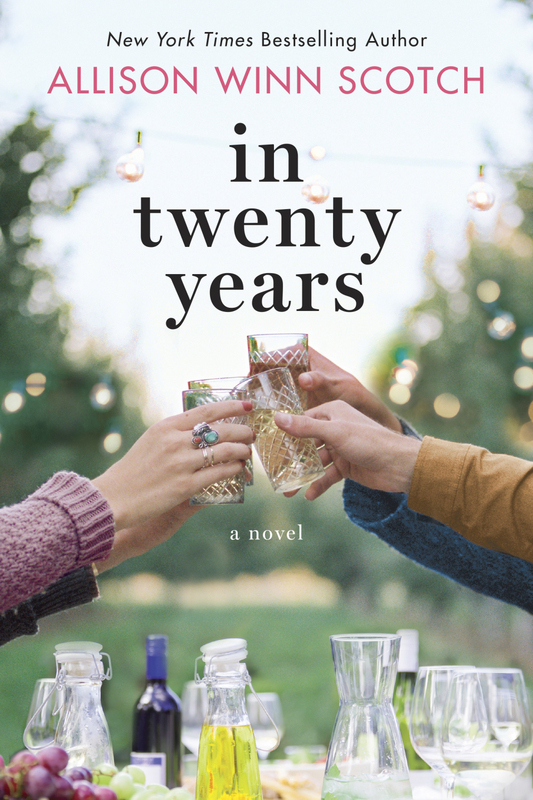 Far from being a typical war between the ex-wife and the new partner, Liddy and Rose both realize they are dependent on each other for their completely different lifestyles, and appreciate rather than resent each other. The resentment seems to be reserved for Peter and Matty, who both sulk through most of the book. Structurally, I found a few issues. There were a few cases of “head-hopping” (when a character who shouldn’t be suddenly becomes a point-of-view character); more broadly, the pacing of the final quarter of the novel was off. Because of this, the last quarter seemed to belong to a completely different novel entirely, and poor Rose was almost forgotten. Today's guest and I go way back. We grew up on the same block and would play at each other's houses all the time. Then she moved to a different part of the neighborhood, and we ended up going to different schools for a while. However, we were reunited in high school, when we ended up in the same theater class. Then we met up again in college, when we were in a psychology class together. A few years later, we ran into each other at a nearby restaurant, as we ended up working in the same town. And finally, we reconnected on Facebook, where I found out that she likes to read too! I'd like to introduce you to Jessica Dauphinais, who is an independent jewelry designer with KEEP Collective. She helps people tell their own stories through personalized jewelry design. Going along with our theme, there's a Family collection from which to choose charms! Join Jessica's Facebook group to learn more about the latest updates and specials. To learn more about KEEP Collective, visit them on Facebook, Twitter, and Instagram. She holds two Bachelor's degrees: one in Psychology and one in Elementary Education, as well as a Master's in Reading Education. 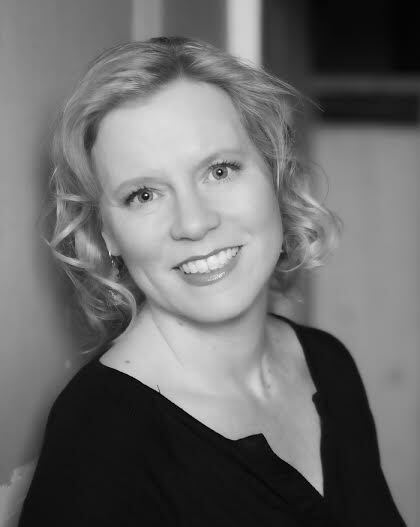 For several years, she was an elementary educator in Chicago and currently teaches reading courses at The College of DuPage. Jessica resides in Naperville, Illinois, with her husband and children. 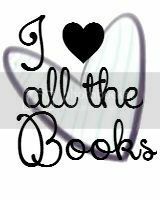 I love reading and always have. And I love the way every good book takes you on an adventure or opens you to someone else's world; their inner self. To me reading is all about connecting with characters in a story. Unique and interesting characters make good stories great. 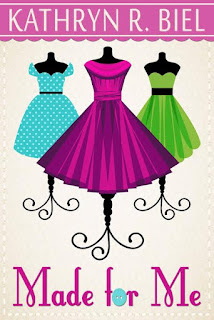 These are a few of my favorite Chick Lit books. I love these books because the characters are so different. Some are strong, some interesting, some flawed, or with some I can simply relate or connect with them in some way. But each of them have one thing in common. Each of them have unique and colorful stories. I love reading stories, but I also love sharing stories. That is one of the reasons I fell in love with KEEP Collective. 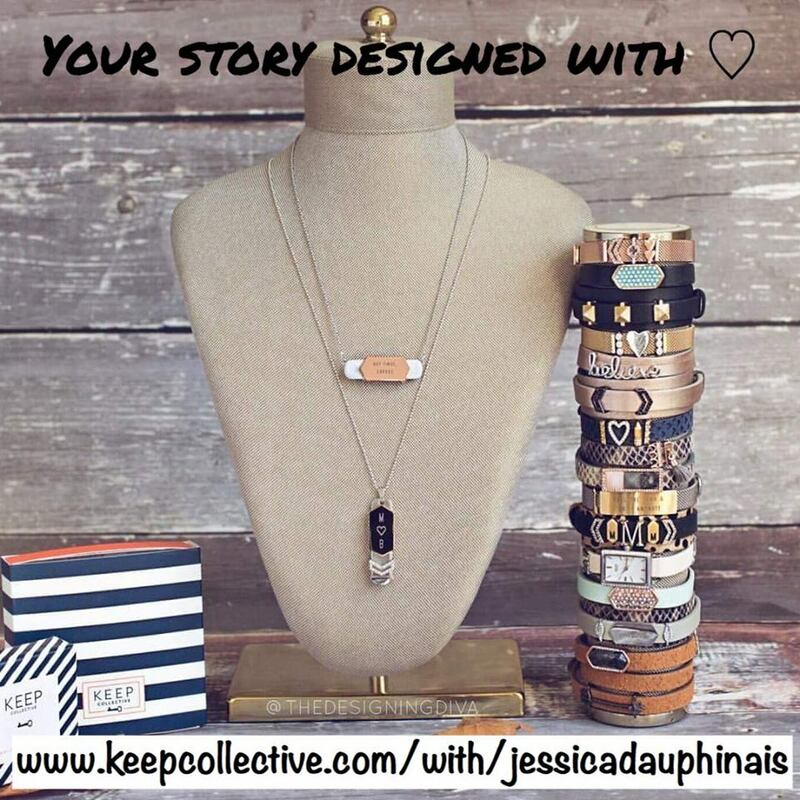 KEEP is a jewelry line that is all about creating and sharing YOUR one-of-a-kind story. Just like the characters in the books I love, I love learning other people’s stories. 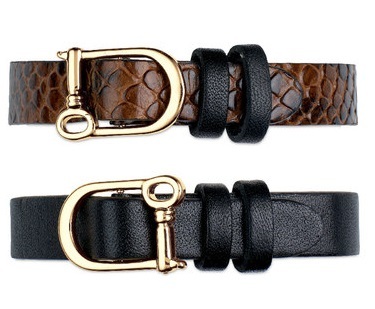 This month, I will be giving away one reversible black and brown snakeskin leather keeper to a lucky Chick Lit reader!! This keeper is the base for you to tell YOUR STORY. Add to it with your favorite keys (charms) or engravables to tell your one-of-a-kind story!! 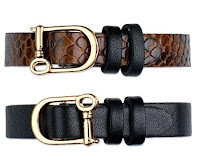 Check out my website to find out more about creating your own one-of-a-kind designs. Below are some of my favorite KEEP designs. So tell me, what is your story? What would your KEEP design say? Giveaway ends September 25th at midnight EST. As iconic to women's fashion the little black dress is, this new novel will be the same for summer reading. 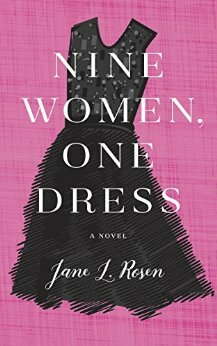 Nine Women, One Dress features a unique cast of characters whose lives are all affected by the season's hottest dress. The book starts off with a Southern transplant to NYC who wears the dress in her first runway show where she is photographed for a magazine cover. From there on, that dress makes its appearance in the life of a movie star, widower, private detective, and even finds its way overseas in some mixed-up luggage. But feelings run deeper than how this dress makes these women feel. It changes their thinking and, thus, the paths their lives will take. It is also a sweet love letter to New York City, as we tour Bloomingdales, Grand Central Station, Sardi's, and Broadway. If you're looking for something short and sweet, look no further. It's a short book with short chapters, and it can easily be read in a day. It's a perfect escape story or a quick read for a change of pace after a heavy book. And though short, I still felt connected to many characters and found myself rooting them on. I would love for the author to bring these characters back in a future novel. Maybe moving forward in time where the little black dress becomes a wedding dress, or maybe changed from a dress to an item shared among them all. This would also make such a cute anthology movie in the vein of Love, Actually. Really looking forward to what our author does next. Brandi Megan Granett can be our sister! 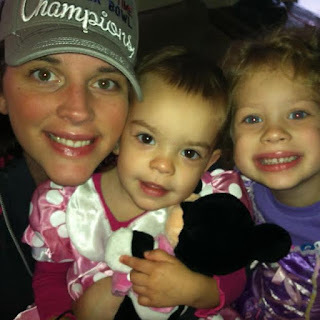 We welcome Brandi Megan Granett to CLC today to talk about our theme of the month...family. 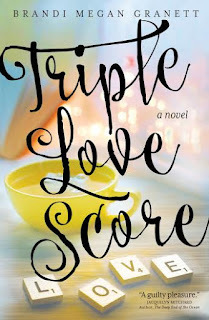 Her novel, Triple Love Score, was published earlier this month. Granett is the author of My Intended (William Morrow, 2000). Her short fiction has appeared in Pebble Lake Review, Folio, Pleiades and other literary magazines, and is collected in the volume Cars and Other Things That Get Around. 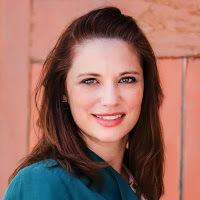 In addition, she writes an author interview series for the Huffington Post, and is a member of the Tall Poppy Writers, a community of writing professionals committed to growing relationships, promoting the work of its members, and connecting authors with each other and with readers. When Granett is not writing or teaching or mothering, she is honing her archery skills. She lives in New Jersey with her husband, daughter and two dogs. Visit Brandi at her website, Facebook, Twitter, and Instagram. What is your favorite song that involves a family or is about being a family? “I will be rocks, I will be water. 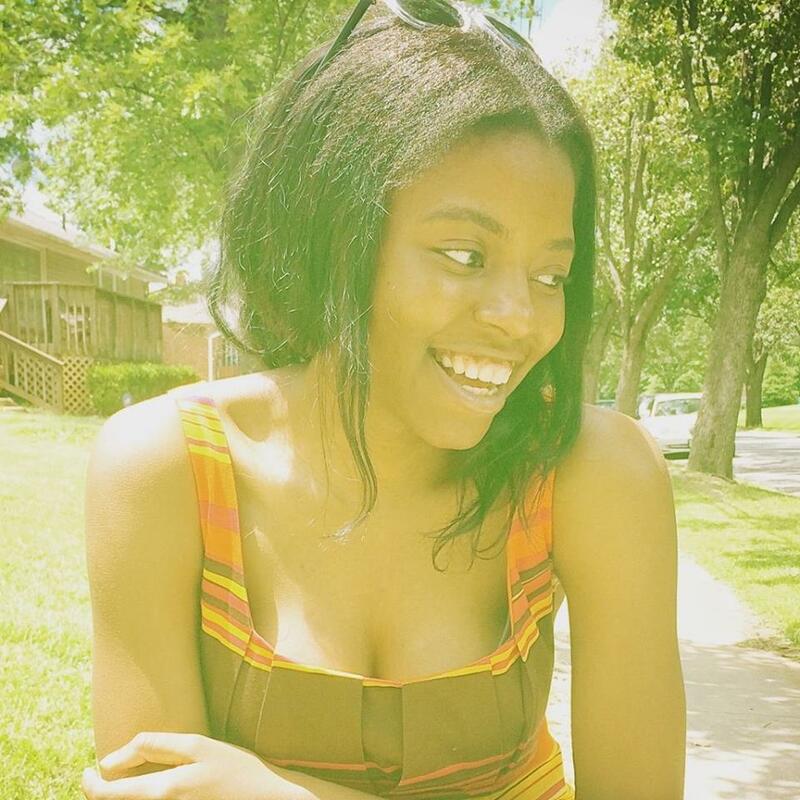 Recently my daughter found her voice in poetry. I feel like I get to pass on some of what I’ve enjoyed so far through her as well as some of the things that made me a real live person. Her accomplishments as a young writer light me up so much more than anything I’ve ever achieved. My archery coach, Len Cardinale! He gives so much to me and has taught me so much about not only archery, but about how to live a life worth living. The biggest thing he taught me is that thoughts are things. How you think about the world, how you process events…that determines your reality. I so appreciate his care and respect. Which fictional family would you like to be a part of? I would like to be a Waverly Sister from Sarah Addison Allen’s books, First Frost and Garden Spells. I’d love to have magic and a sister to count on to help me raise my daughter. I am lucky to have some pretty amazing girlfriends, but as an only child, I can only imagine what it would be like to have a sister. What is something that has been passed down in your family? A belief in Santa Claus. When I was little, my mom struggled as a single mother. Yet every year at Christmas something special would happen, a bill would be for less, an extra would come up, a boss would pay a bonus, and she would be able to make Christmas happen. I have seen Christmas magic continue throughout my life. Just this last year, when I was riddled with Lyme disease and our house was torn up for repairs, my Jewish husband insisted we get TWO Christmas trees because he felt we needed double magic that year. My sixteen year-old daughter said to me the other day that she tells people Santa isn’t real just to make them feel better about themselves; people don't like to be contradicted, she said. She didn’t want to hurt their feelings! Which holiday do you enjoy spending with your family the most? While Christmas is a great holiday, we have really enjoyed celebrating our dogs’ birthdays. We take them to Dilly’s, our local hamburger and ice cream place, for kiddie sized dishes of vanilla soft serve with rainbow sprinkles. We get so much joy from their excitement; it makes a regular day special.